You are currently browsing the Archaeofacts.com archives of Musings for the day Sunday, January 21st, 2018. 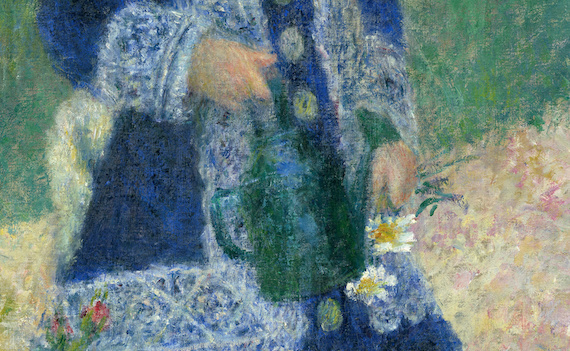 This is the watering can part of Renoir’s “A Girl with a Watering Can.” I have a soft spot for the painting, as I had a (crappy, not-very-high-res*) copy on my wall as a kid. I particularly liked the blue. * The National Gallery website has an extremely high-res version of the painting available for download.